The Roadster 3 is designed for pilots of all abilities, from newly qualified to advanced. 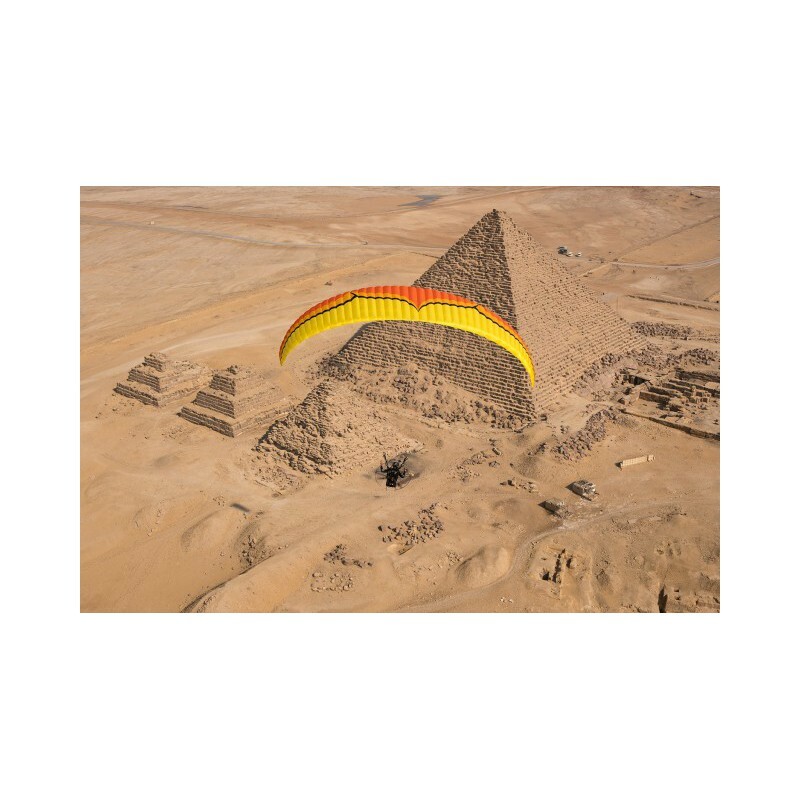 It is a dedicated paramotor wing with a full reflex profile. Pilots of all abilities will love the impeccable launch characteristics and rock-solid stability in active air and in accelerated flight. XC pilots will appreciate the R3’s overall efficiency, performance, and agile handling. This is a truly versatile wing; it is perfect for everything from basic circuits to epic XC adventures and low-level precision flying. The Roadster 3 features a new internal structure designed to increases the strength and longevity of the sail without adding weight. Further changes have been made to the twist of the wing and overall line lengths to improve roll stability and dampen the effects of engine torque, whilst improving the overall handling. On the ground the inflation is smooth and constant in any wind speed, with a gentle and consistent rise without shooting or lagging behind, even with the trimmers set to the slow position. Due to its exceptional inflation behaviour it excels in nil-wind conditions with a low take-off speed, enabling you to launch and land in small areas. Despite its easy and forgiving nature the most striking characteristic of the Roadster 3 is its fun and agility - it is a real pleasure to fly. The handling is easy, predictable, and forgiving, yet at the same time precise and responsive. The tip steering system maintains this high level of precision and agility whilst flying accelerated.